The pygmy date palm, or Phoenix roebelenii, serves well as a houseplant or tropical specimen in warm outdoor locations, such as patios and lanais. It grows slowly and stays compact throughout its long life span. This palm will grow to only about eight feet tall with a spread up to five feet. When the temperature drops below about 25 degrees Fahrenheit, the pygmy date palm will suffer frost damage. If you live in USDA climate zone 9 or higher, you needn’t normally worry about frost damage, but in areas that lie farther north, you must protect your palm in the winter. Move potted pygmy date palm trees indoors before your first fall frost. Keep your tree next to a south-facing window where the temperature remains above 65 degrees Fahrenheit. Keep it well watered, but not soggy, throughout the winter. String Christmas lights on pygmy date palms growing in the soil of outdoor locations. On nights when the weather forecast predicts frost, turn the lights on at sunset. Cover outdoor-planted trees with plastic sheeting, frost protection fleece or a blanket. Frost can still damage the tree where the plastic or blanket touches the leaves—to prevent this, build a frost frame with 2 by 2 or 4 by 4 boards around your tree. Run a sprinkler under outdoor trees all night when frost is predicted. Be sure the water reaches the top of the tree. Running water does not freeze, so the sprinkler will keep your tree wet while the temperature is low. 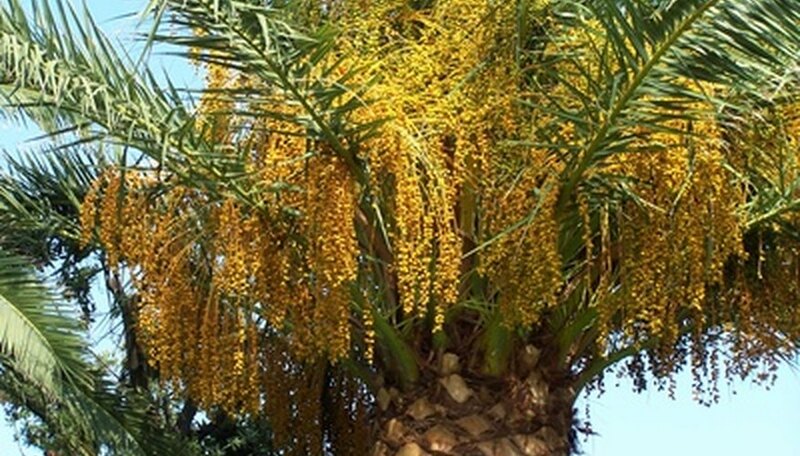 Spray your pygmy date palm with an anti-transpirant product in the fall before your first frost, and repeat your application at intervals throughout the winter according to package instructions. Keep your pygmy date palm well watered all winter long—dry plants are more susceptible to frost damage. Be sure to protect your carpet or wood floor from water damage by keeping your pygmy date palm on a plant saucer. If you hang a high-wattage incandescent light or two in the fronds of your palm, it will keep it warmer and prevent frost damage. Spread a thick layer of mulch, at least six inches thick, on the soil around your palm before cold weather arrives. Straw, hay, any type of leaves or pine needles are good mulch materials for this plant. If you cover your tree with a blanket, remove it during the daytime so the tree can receive the sunlight it needs. Use caution when you use electric lights of any type outdoors and where water is present. Because the pygmy date palm has thorns, wear gloves and goggles when you work around it.